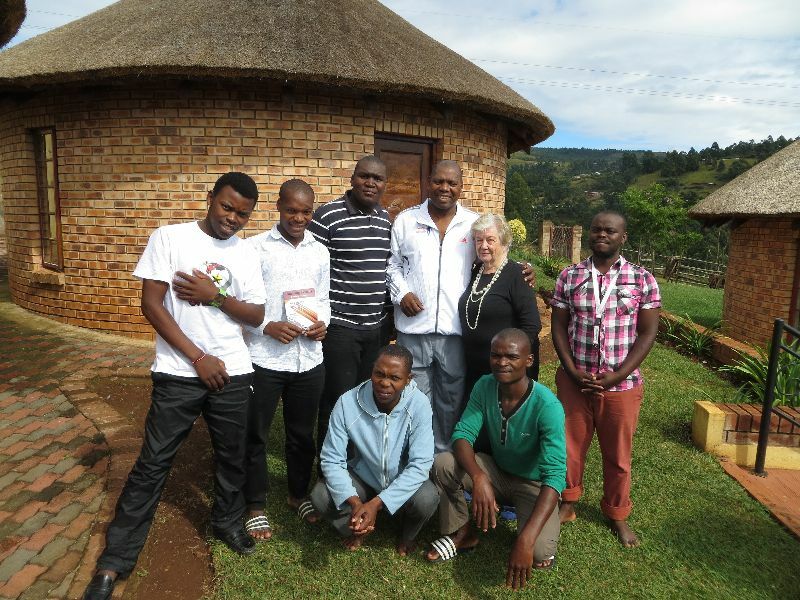 The young men, members of the Willowfontein Dancing Pencils Writing Club in Pietermaritzburg, who are the authors of a second anthology, Going Up and Other stories, are in this photograph with the Premier, Dr Zweli Mkhize, and their mentor, Felicity Keats. They are hugely proud of their prowess. Nhlanhla Nxele. who accompanied Felicity on her visit to them, interviewed them for World Book day with questions on what books and writing means to them. This is their second anthology of stories which they are planning to launch on Sunday the 12th May, in the Blue Moon Venue of the SABC Head Office.